No charges will be filed against George Zimmerman after an alleged altercation with his estranged wife and her father, Lake Mary, Florida, Police Chief Steve Bracknell said Monday. “Shellie Zimmerman has declined prosecution (after consulting with her attorney),” Bracknell said. George Zimmerman had been temporarily detained by police after Shellie Zimmerman told 911 Monday that he had threatened her and her father with a weapon. On the 911 call, Shellie Zimmerman, who filed for divorce last week, is breathing heavily when she tells a dispatcher that Zimmerman is still at the house. “He’s in his car and he continually has his hand on his gun, and he’s saying, ‘Step closer.’ He’s just threatening all of us with his firearm,” she says. Shellie Zimmerman also tells 911 that George Zimmerman punched her father in the nose, then smashed her iPad before getting in his truck. “I don’t know what he’s capable of. I’m really, really scared,” she says. Well WE certainly do. And many of us are pretty damned scared. O’Mara said Shellie Zimmerman no longer lives at the house — which is owned by her father, David Bryant Dean — and had come to it to retrieve some belongings. After he was initially detained by officers, George Zimmerman was interviewed at the house by detectives, Lake Mary police spokesman Zach Hudson said. Zimmerman had offered to turn over surveillance tapes from security cameras at the house to investigators. Shellie Zimmerman called 911 just after 2 p.m. ET, Bracknell said earlier. George Zimmerman had a bodyguard in the truck with him when police arrived, Bracknell said. Police said Dean spoke with first responders but was not treated by paramedics. The incident comes two months after Zimmerman, a neighborhood watch volunteer, was found not guilty of murder in the shooting death of Trayvon Martin in Sanford, Florida. Shellie Zimmerman’s divorce filing last week in Seminole County came after she pleaded guilty to perjury on August 28 for lying about the state of the couple’s finances during a bond hearing in April 2012. She had claimed she and her husband were broke, when in reality they had collected about $135,000 in donations. 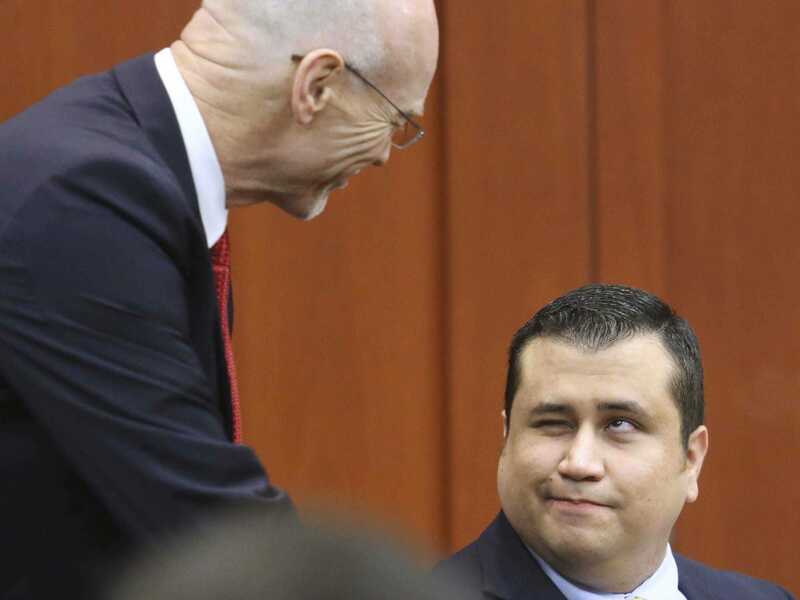 Since his acquittal on July 13, George Zimmerman has been in the headlines several times. In late July, he reportedly helped a family escape from an overturned SUV. A report from the Seminole County Sheriff’s Office confirmed his involvement. More recently, Zimmerman has been pulled over in traffic twice. The first time, he was given a verbal warning for a traffic violation in Texas and reportedly told officers he had a firearm in his glove compartment. The second time was in Florida last week, when he was issued a $256 ticket for speeding. Clearly this will not end well.